Before submitting the manuscript, read carefully and follow the INSTRUCTIONS for Authors. Submission requires a text file, figures in the separate files, and PDF file of the whole manuscript as a file for reviewers, where the text and all tables and figures should be included. Authors will sign the Copyright Assignment Form/Conflict of Interest Disclosure form when the article is accepted for publication. 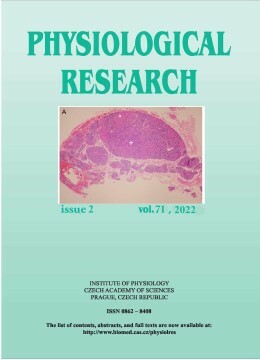 By signing this form, the authors or other copyright owner, such as the employer agree to transfer to us (Institute of Physiology CAS, Prague, the journal's publisher and owner) the copyright in the article. Thus you give the journal the exclusive right to reproduce and distribute the above article ourselves throughout the world in printed, electronic, or any other medium. You agree that we may publish your article in the journal named above, and that we may sell or distribute it within the journal, on its own, or with other related material. For further information including rates, specifications, etc., contact the Editorial Office.